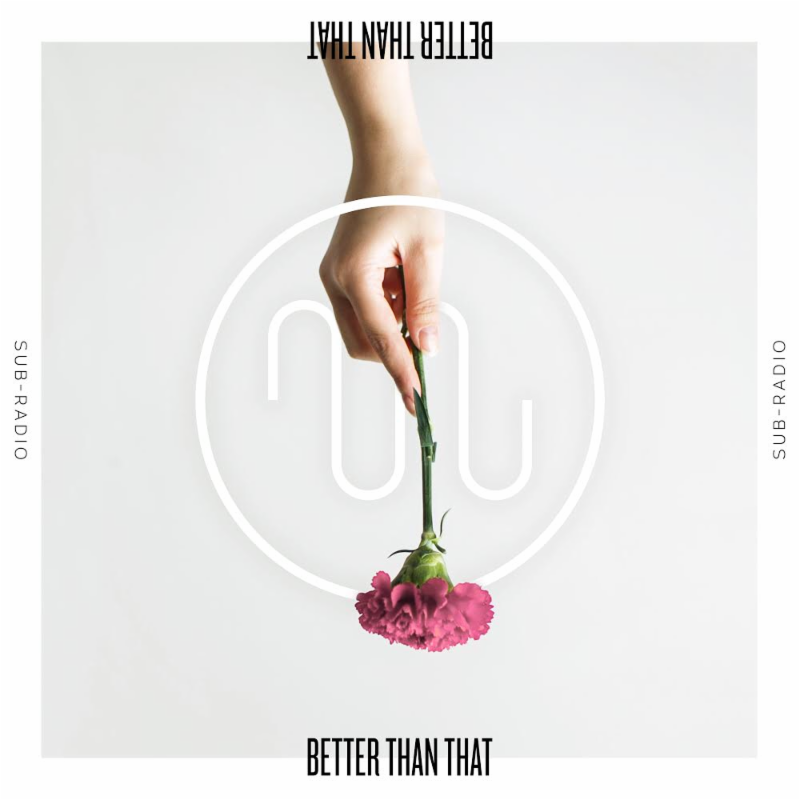 Rising Alt-Rock Band SUB-RADIO Releases New Single, "Better Than That"
Rising Washington, DC-based alt-rock band SUB-RADIO released their brand new song, "Better Than That" - the first single cut from their highly anticipated, as-of-yet untitled Summer 2019 EP. The track, available today across streaming services, was produced by Dylan Bauld (flor, Halsey, Smallpools), mixed by Andrew Maury (Shawn Mendes, Post Malone, COIN), and mastered by Joe LaPorta (The Weeknd, Shawn Mendes, Vampire Weekend, Walk The Moon). Stream "Better Than That" now via Spotify here. "We wrote "Better Than That" years ago, self-produced it, and never really felt like it got the treatment it deserved," says vocalist Adam Bradley. "Our fans absolutely lose it when we play it live and we knew it needed the five-star production that Dylan and Andrew can bring. The song sounds like a party, and to us it's kind of a kiss-off party. We want everyone who's been on the wrong end of a one-sided relationship to be able to shout along to this." SUB-RADIO makes catchy, danceable indie-pop with big hooks, clean guitars, dancefloor rhythms, and powerful vocals. Founded by six childhood friends over 10 years ago, the band has garnered comparisons to established acts like Walk The Moon, Maroon 5, Fun. and Vampire Weekend, and the sextet's stream of releases and high-energy live performances have put them on the map up and down the East Coast, including performances at Firefly Music Festival, Capital Pride and Launch Music Festival. "Working on these new songs with Dylan and Andrew is a dream come true for us," says lead guitarist/vocalist Matthew Prodanovich. "They're able to take these seeds of ideas we have and blow them up into the big pop jams we've been wanting to make." "We've never been more excited about a release than this next EP. It's fun, it's joyful, it grooves," says drummer/vocalist Michael Pereira. "It's exciting to have a record that matches the energy we bring on stage. And we can't wait to meet the fans all across the country who haven't had the chance to see us before 2019." The band's efforts continue throughout 2019 and beyond as they head out on their first-ever US national tour, including over 30 dates at universities alone. See what the press is saying about SUB-RADIO! SUB-RADIO is Adam Bradley (vocals), Matthew Prodanovich (guitar, vocals), Michael Pereira (drums), John Fengya (keys, guitar, vocals), Mark Siford (bass), and Kyle Cochran (guitar, keys).